If you’re like most people, you hear the name “Silverfish” and you assume it’s some sort of fish, or perhaps the name of a rock band. Turns out silverfish are ugly bugs that you sometimes see lurking about your house. 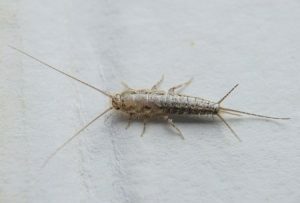 With a silvery gray color, silverfish look like a little lobster crossed with a bee and cockroach. They have a carrot-shaped body with lots of antennae sticking out. You might see them in your basement or under your sink since they flock to cold, dark and damp places. They’re fast moving little buggers and they like to come out at night. While silverfish are relatively harmless (they don’t bite or spread disease) they’re still bugs you don’t want in your house. To get them, try sticky traps. You can also use cedar oil and/or pieces of cedar in key spots to keep them away since they don’t like cedar and will avoid it. Since silverfish like paper and glue, if you have a lot of cardboard boxes around, or you store old newspapers/mail, just know that silverfish love those things. They’ll even enjoy hanging around clothing and dry foods, so here’s the deal: put stuff away in plastic containers with tightly sealed lids. 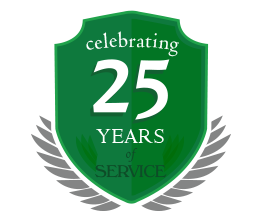 The more dry you keep your home or basement, the better off you’ll be. Remember, silverfish like damp places. If you notice any cracks in your home’s exterior walls, seal them up so silverfish and other bugs can’t easily enter your home. Remove piles of damp debris located near exterior walls, too, so as not to attract bugs. 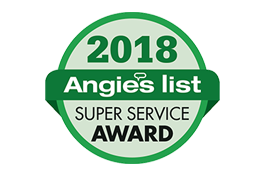 Should you have an infestation of silverfish or other creepy bugs, don’t hesitate to call Amherst Exterminators at 716-908-2475. Don’t Let Cluster Flies Get Comfortable in Your Home!